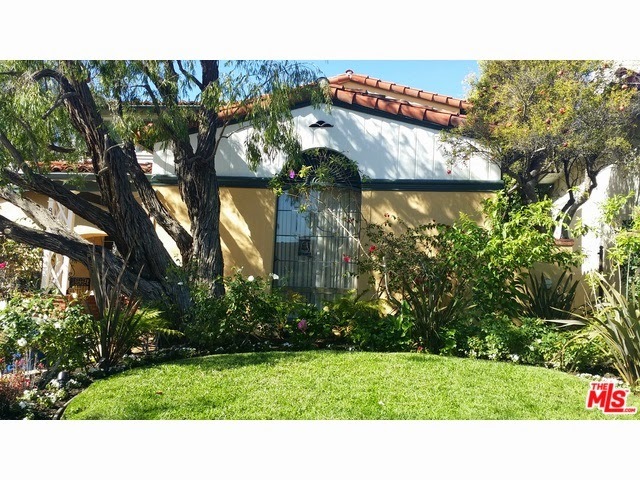 The Westwood Real Estate Market Blog: What Did That Westwood Little Holmby Home Sell For At 875 Malcolm Ave? What Did That Westwood Little Holmby Home Sell For At 875 Malcolm Ave? The Westwood Little Holmby home at 875 Malcolm Ave, LA CA 90024 lasted about 61 days before accepting it's 2nd offer. This 1930's Spanish house has been moderately updated and could be lived in as is. I would not go as far to say that the upgrades to the kitchen/baths are a very modern high end look, but one could certainly live with it and update later. With the recent LA Council decision to halt any new demo or expansion permits in the Little Holmby neighborhood, having ~4,000 square feet to work with as a fixer could be a good buy at this time for this price. On 2/06/15, 875 Malcolm Ave closed about .72% under the asking price at $2,775,00 |$705 $/sf|. According to the MLS, the home is a 5 bedroom / 4 bath, 3,931 sq ft of living space on a 7,697 sq ft lot.